Google is moving in many directions—mobile, browsers, productivity apps, operating systems, social. At first glance, it may seem like it is trying ever so hard to move beyond its giant one-trick pony: search. What people keep forgetting is that it is a pretty good trick. Benchmark Capital VC Bill Gurley reminds us how good this trick is in an excellent post that looks at Google’s market expansion strategy not as one of a series of aggressive offensives, but rather a highly defensive strategy. Warren Buffet famously describes the best businesses as “economic castles protected by unbreachable ‘moats.’” Search is Google’s economic castle (perhaps with other forms of online advertising such as display thrown in there), and everything else is a moat trying to protect that castle. Android is a moat. The Chrome browser is a moat. The Chrome OS is a moat. 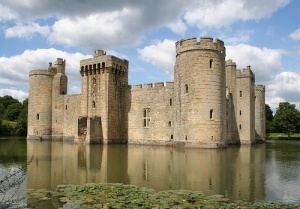 Google Apps is a moat. These are all free products, subsidized by search profits, that are intended to protect the economic castle that is search. Remember, what is the default search engine of Android and Chrome? It’s Google. Android and Chrome are merely distribution nodes feeding into search. Without Android, Google would be more vulnerable to becoming displaced as the default search engine on mobile phones. The Chrome browser similarly keeps Google search front and center, just in case Firefox ever decides to go with Bing. But the way that Google creates its moats, ravages the industries it enters because it offers it products for free or less than free. Carriers and cell phone manufacturers actually have an economic incentive to use Android. Google is essentially paying them to adopt it. So don’t measure the success of Google’s new businesses by how much revenue or profit they generate directly. Measure it by how much they shore up Google’s core search business.